Our team of executives, engineers, and field experts challenge themselves to develop and take advantage of new processes to maintain the best luxury coaches on the road, whether it’s researching new components or making assembly-line adjustments. Every one of our luxury coaches has a unique story to tell, and we want to hear what you want yours to tell. Using your feedback and specifications, we are committed to building your perfect luxury coach. Introducing the latest iteration of our flagship model, CHTC Bus Group combines exquisite style with reliability, economy, and safety. The HT-45 carries up to 56 passengers, in black quilted leather upholstery and elegant Phantom Black exterior. Owners and operators appreciate HT-45 economy, drivers and mechanics appreciate its reliability, and VIPs and tourists appreciate its luxury and safety. When your passengers demand luxury, HT-45 delivers. 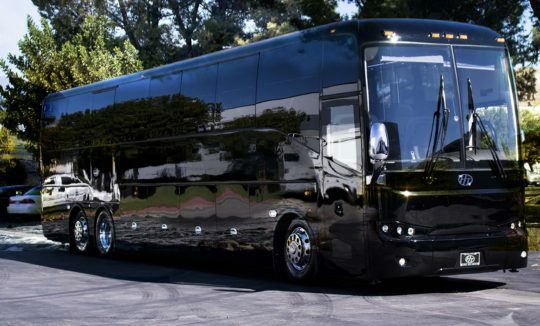 We are not just selling a luxury coach, but we’re selling you ourselves. In other words, our relationship, as buyer and seller, does not end when you buy a coach. The whole CHTC “package” includes after-sale service, providing technical support, operational training, and carrying a comprehensive stock of spare parts. 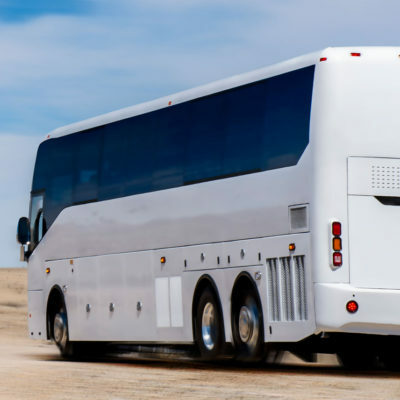 In addition to our own support, you also benefit from the support networks of great companies whose equipment goes into every HT-Series luxury coach, including CUMMINS, Allison, AF, ISRI, Siemens, PrestLite, Festo, and Knorr-Bremse, to name a few. Our truck-based engines and transmissions are engineered for efficient, long-term, worry-free operation. Our proven track record of reliable HT Coaches is a testament to careful selection of only the best equipment and manufacturing processes. 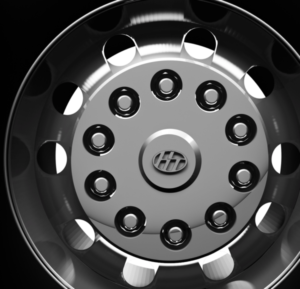 The HT-Series are the safest coaches we have ever built, tested and refined to surpass safety and collision standards to keep your drivers and passengers safe. 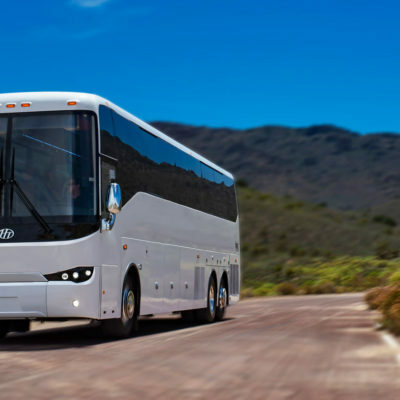 All HT coaches are equipped with automatic engine fire suppression, ABS, ESP, active radar anti-collision system, backup camera, and three-point seat belt, to name a few. Every window can be opened in case of emergency, and roof emergency exits are built-in by design. The SupaGal U-hoop frame and rails offer superior rollover and side impact protection. The HT-Series was designed right here, in California, US. Using 75% American-sourced equipment and parts, final assembly is completed at our manufacturing facilities in Nanchang, China. By using American parts and Chinese assembly, we offer the best value to our buyers. At the same time, we never compromise on quality manufacturing. From sourcing to assembly to sales and service, we maintain a high quality control standard and require every coach to pass some of the most rigorous inspection criteria in the industry. HT-Series coaches offer extension on-board entertainment options. The on-board DVD player plays through multiple pop-down 17” widescreen LED televisions and individual headset jacks. Every seat has 2 USB ports, for charging electronic devices, as well as optional 110 V outlets, for charging laptops. For connectivity on the go, 3G and 4G WiFi systems only require the purchase of a data package from your preferred mobile carrier. Our HT-Series coaches are assembled in state-of-the-art facilities in Nanchang, Jiangxi province, China. Over 30 years of coach-building experience, production technology, and manufacturing processes goes into every coach, guaranteeing quality, consistency, reliability, and performance. Address: 15780 El Prado Rd, Chino, CA 91708 1-800-216-6788 Monday-Friday 8:30a.m.-5:00p.m. 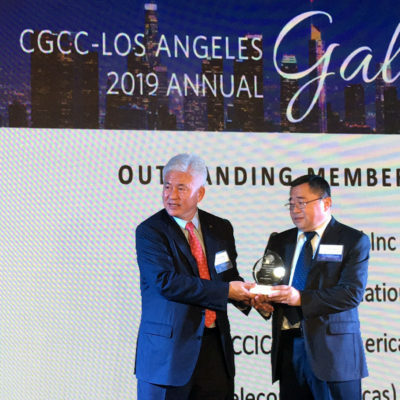 © 2018 CHTC Bus Group. All Rights Reserved.